Berkery Noyes Advises Fosina Marketing Group in its Acquisition by Digital Media Solutions - Berkery, Noyes & Co., LLC. Clearwater, FL – November 13, 2018 – Digital Media Solutions (DMS), the fastest-growing independent agency focused on performance marketing, announced it acquired Fosina Marketing Group, Inc. Fosina is an innovative and data-driven marketing firm with customized direct-to-consumer subscription marketing solutions for clients including Harper Collins Publishing, Save The Children, National Wildlife Federation, Amora Coffee, Meredith Corp. and Highlights for Children. According to reports, last year business-to-consumer subscription firms attracted more than 11 million U.S. subscribers, and the industry as a whole has been growing at 200% annually since 2011. The acquisition will add a seasoned team with dynamic subscription marketing experience and a variety of key players, including the firm’s founder Jim Fosina. Starting immediately, the Fosina brand identity and website will be rebranded to DMS. 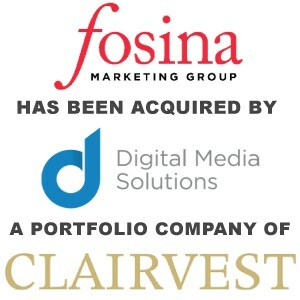 The Fosina team, powered by an incredibly talented and seasoned staff, will now be called the Direct-to-Consumer (DTC) Subscription Marketing Team within the DMS Digital Agency reporting into its division head Rachel Schulties. The company will remain based in Danbury, CT. The DTC Subscription Marketing Team will continue its incredible work in providing digital advertising services to brands across existing and new clients. For more information on the DMS Digital Agency, visit https://digitalmediasolutions.com/digital-agency. Founded by a team of lifelong athletes, Digital Media Solutions, LLC (DMS) is the fastest-growing independent agency focused on performance marketing. 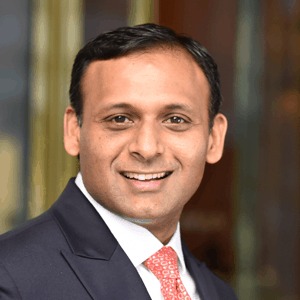 DMS deploys diversified and data-driven digital media customer acquisition solutions that deliver scalable, sustainable and measurable marketing results. The company’s performance marketing, digital agency and marketing technology solutions connect the right consumers with the right offers at the right time to achieve the marketing objectives of clients in highly competitive industries. DMS continues to experience explosive year-over-year growth, with continuous recognition on the Inc. 5000 list in 2014, 2015, 2016, 2017 and 2018; the Tampa Bay Business Journal’s TBBJ 200 List in 2015, 2016, 2017 and 2018; the Entrepreneur magazine 360 list in 2017; and a top 10 ranking on the 2015 and 2016 Florida Fast 100 lists. Named one of America’s “Best Places to Work” in 2017 by Inc. magazine, DMS brings together some of the industry’s most knowledgeable people, efficient processes and sophisticated technology across the digital and marketing spectrum. The company continues to deliver on its strategic mission, which is backed by its board of investors including multi-billion-dollar Canadian private equity firm Clairvest Group. For more information about DMS, its consumer finance-focused brand Best Rate Referrals, affiliate network W4 Performance Ad Market, education-branded platforms under DMS Education including CollegeAtlas.org and CourseAdvisor.com or the performance marketing technology Sparkroom, visit digitalmediasolutions.com. Keep up with DMS news at insights.digitalmediasolutions.com and connect with us on LinkedIn at www.linkedin.com/company/digital-media-solutions-group. Buyer Parent: Clairvest Group Inc.